We give you a short introduction on how to set your Depth Chart. Depth Chart are quite important, since you set the substitution rules for your team. Depth Charts help you if players become unavailable for the gameplay, might be due injuries or other reasons. This screencast is brought to you by canonico (RZA), it is 4:11 long. This is version 2 of that screencast, uploaded on 2012-07-18 17:29. The Video was made for RZA originally, but the content is valid for RZC too. This screencast shows you the most important things when it comes to set your players training. This screencast is brought to you by canonico, it is 8:47 long. 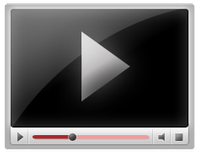 This is version 2 of that screencast, uploaded on 2012-07-18 18:26. The video was made for RZA originally, but most of the content is valid for RZC too. How to make Gamesettings in RedZoneClash.org? This video describes how to create proper gamesettings für your upcoming games in RedZoneClash.org, the American Football Simulator on the Web. This screencast is brought to you by canonico, it is 9:35 long. This is version 1 of that screencast, uploaded on 2012-08-06. The Video was made for RZA originally, but the content is valid for RZC too. This video describes how to create a playbook in RedZoneClash.org, the American Football Simulator on the Web. This screencast is brought to you by canonico, it is 10:48 long. This is version 1 of that screencast, uploaded on 2012-10-23. The Video was made for RZA originally, but the content is valid for RZC too. How to boost a training? In RedZoneClash.org, the American Football Simulator, you can enable a so called Boost per Training session. If you decide to boost, your players gain more skill progress. In RedZoneClash.org, the American Football Simulator, you can create your own very unique players, within limits. This small video explains how to do that, and how the Player Creator is working.